The Catalan capital is home to numerous museums and galleries, exhibiting work by some of the most acclaimed artists of all time. From the surrealist sculptures of Joan Miró to the classic works of some of Catalonia’s most revered masters, these are the 10 masterpieces to check out next time you’re in Barcelona. While many people associate Barcelona with modern art such as that of Pablo Picasso or Joan Miró, the Museu Nacional d’Art de Catalunya (MNAC) is also home to the largest existing collection of Romanesque art in the world. Including artwork gathered from churches, chapels and monuments across the region, the collection boasts some of the finest example of the genre to be found anywhere. 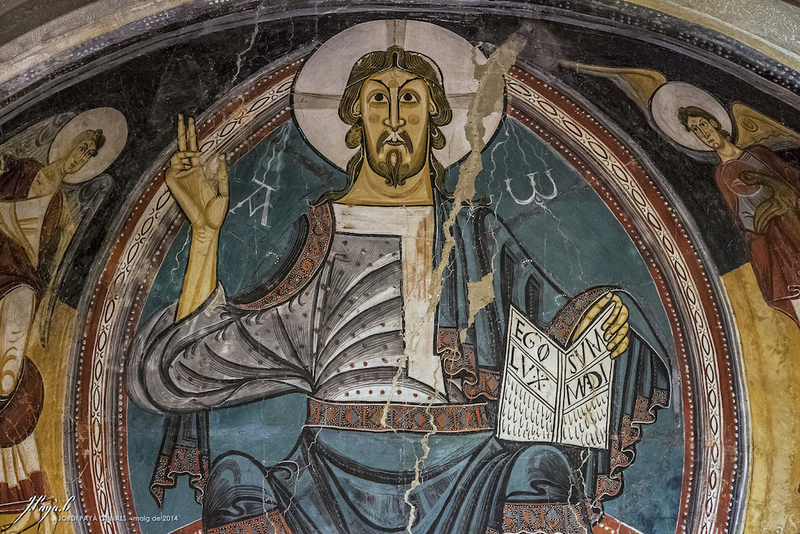 One of the highlights is the Apse of Sant Climent de Taull, believed to have been painted back in the early 12th century by the Master of Taull, considered one of the greatest mural painters of his era. While it may not be Picasso’s most famous work, The First Communion does have the unique quality of being the first professional painting ever completed by the artist. His first major oil painting, it was created under the encouragement of his father when the young Picasso was still enrolled at the local art school in Barcelona. The scene depicts his own sister at her first communion and the male figure is believed to have been modeled by Picasso’s father. Contrary to what would make most of his later works so famous, The First Communion conforms to the norms of academic painting and social realism at the time. Painted when the artist was just 15 years old, Science and Charity is considered one of the most representative artworks of Pablo Picasso’s early years. He had recently been enrolled at the local art college in Barcelona and was working in a small studio, which his father rented for him. Unlike his later work for which he is best known, Science and Charity can be described as an example of social realism, depicting a scene of every day life. The young Picasso hired a local beggar and his child to model for the initial sketches, six of which can still be seen alongside the finished work in the Picasso Museum in Barcelona. 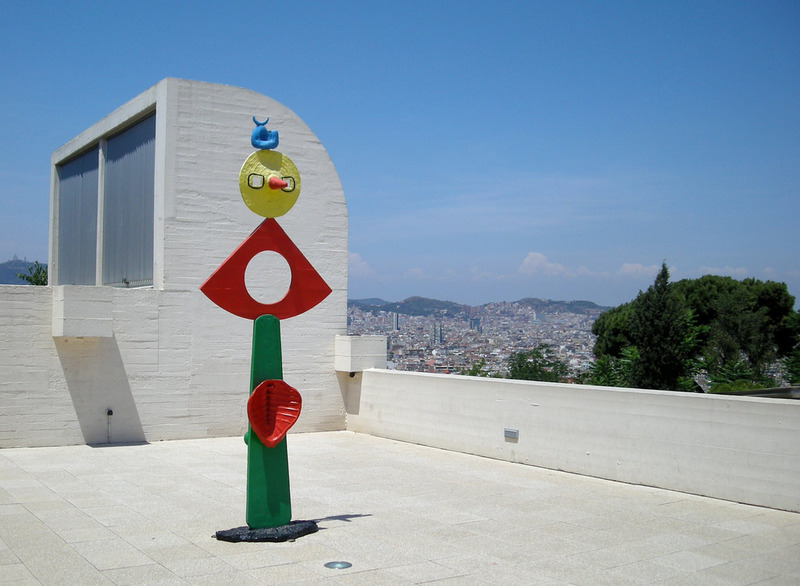 This colourful statue commonly referred to under its French name La Caresse d’un Oiseau is part of the permanent collection of the Fundació Joan Miró located on Montjuïc Hill and was created by the artist himself in his home in Majorca. The original statue was created during the Second World War but was recast in bronze in the mid-sixties when deterioration was noticed. The work displays Miró’s typical palette of bright primary colours, while the theme is a common one in Miró’s work: women and the female form. The statue can be found alongside others by the artist on the roof of the Fundació Joan Miró. Considered one of the most influential European artists of his generation, Antoni Tàpies was one of the founders of the Dau al Set – meaning ‘seventh face of the dice’ – movement in Catalonia, closely related to the surrealist and dadaist movements. Tàpies became famous for his use of mixed media in art, incorporating materials such as clay or dust into his work, later also using furniture and other larger objects. Rinzen (1993), which means ‘sudden awakening’ in Japanese, is considered one of his most influential works and was conceived for the Spanish Pavilion at the 45th Venice Biennale in 1993. The hospital bed is believed to be symbolic of the war taking place in nearby Bosnia at the time, as well as a troubling memory from the artist’s own childhood. 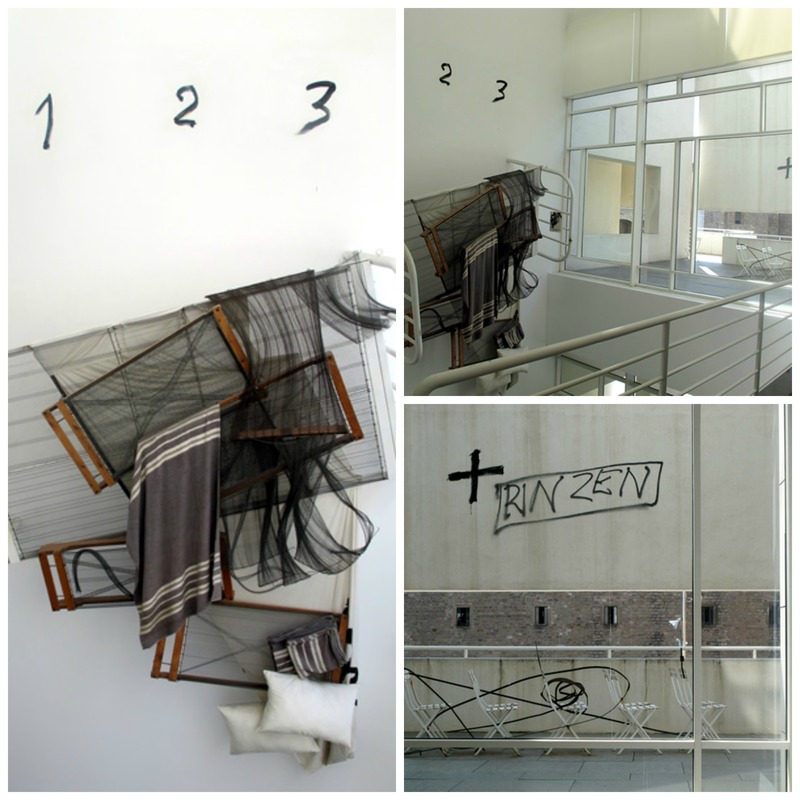 It was installed in the entrance of the MACBA in 1998 and can still be found there today. 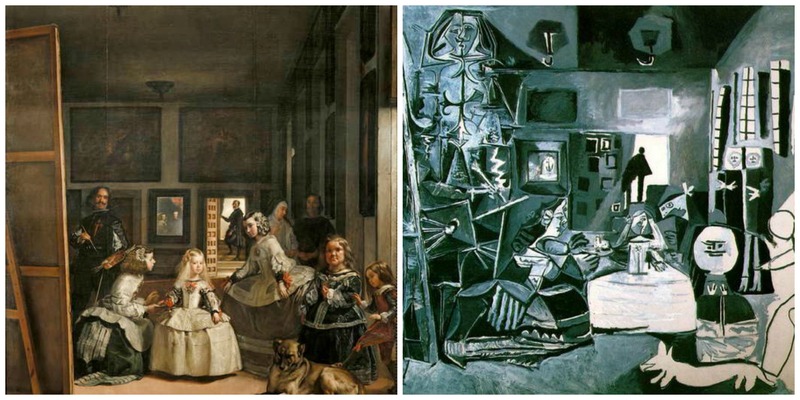 One of Picasso’s more intriguing works, Las Meninas is a series of 58 paintings based on a reinterpretation of the classic Spanish painter Diego Velázquez’s work of the same name. It consists of 45 separate depictions of the original painting as well as a number of detail paintings – namely of the dove – landscapes and a portrait. It is the only complete series by Picasso to be held together and was donated by the artist himself to the Picasso Museum in Barcelona in 1968, in memory of fellow artist Jaime Sabartés who passed away that year. Also known by the Catalan name ‘Dona i Ocell’, Joan Miró‘s Woman and Bird is a large-scale statue which is part of a trilogy of public artwork commissioned by the council of Barcelona in the 1980s. 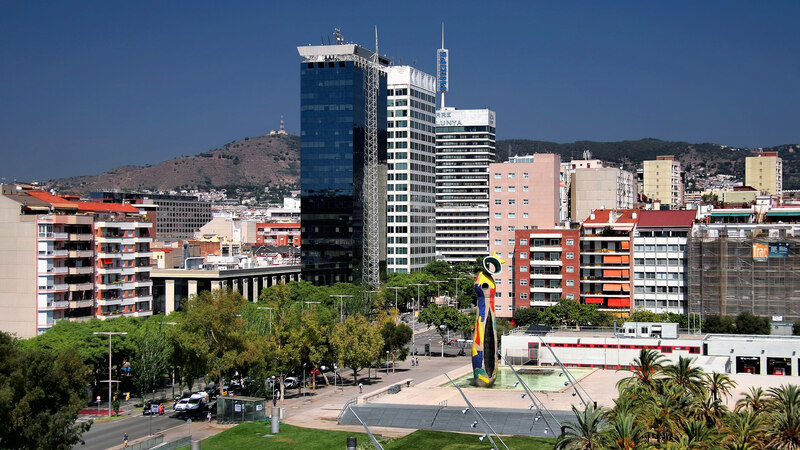 The statue is located on the Plaça d’Espanya and is designed to welcome visitors to the city as they drive past. Despite the apparently phallic shape of the statue, the female form is clearly evoked by the large black hole which appears down the front of it. Women and birds were too recurring themes in Miró’s art and this statue is typical of his work. This oil painting was designed specifically for the Quatre Gats restaurant in Barcelona, of which the author Ramon Casas was one of the founders, and can today be seen at the MNAC in Barcelona. Inspired by the Chat Noir café in Paris, the Quatre Gats was a popular hang-out among the city’s intellectual and artistic circles. Casas himself is considered one of the most prominent artists of the Catalan Modernist movement and depicted the economic and social changes of Catalonia during his time. 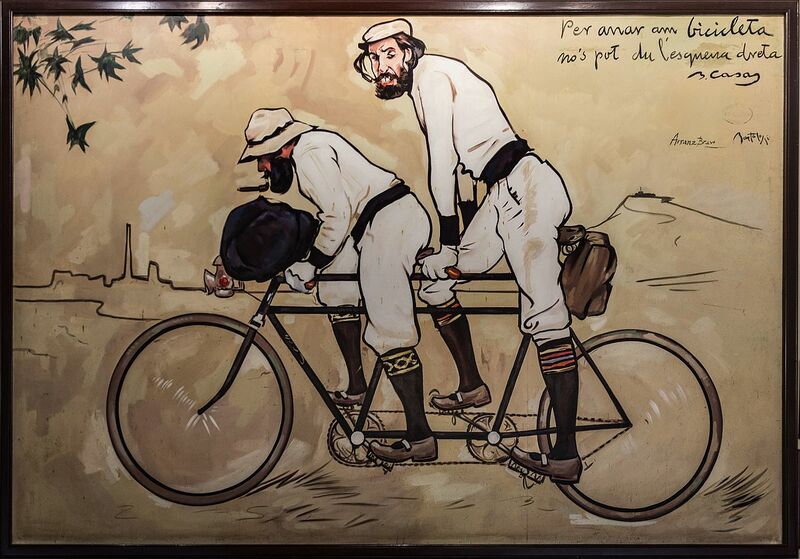 His friend and associate Pere Romeu was a patron of the arts and is depicted here looking straight at the viewer while Casas pedals on, head down on their tandem bike. 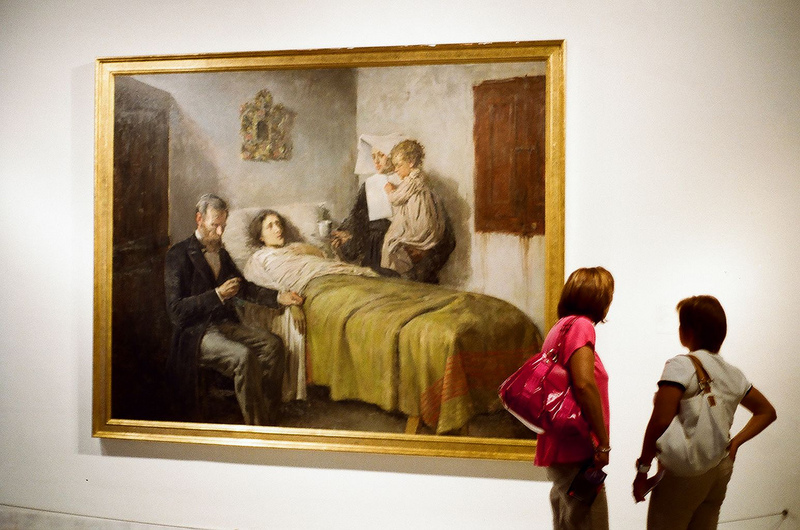 Catalan painter Marià Fortuny, or Mariano Fortuny in Spanish, was a 19th century painter who is today considered a great master of genre painting, depicting average scenes of every day life. The Spanish Wedding is typical of Fortuny’s work and depicts a common sight, the signing of official documentation after a wedding ceremony. When the painting went on sale in 1870 in Paris it sold for 70,000 Francs, making it one of the most expensive artworks ever sold to date. This catapulted Fortuny to fame and he enjoyed a successful career as an artist throughout the rest of his life. The painting was acquired by the government of Catalonia in 1922 and is today housed in the Museu Nacional d’Art de Catalunya (MNAC). Sometimes referred to as the ‘Spanish master of light’, the 20th century Valencian artist Joaquin Sorolla is famous for his ability to represent sun-drenched scenes of every day life in his native Spain. He was especially skilled at capturing the atmosphere of sea-side scenes where the sun and water create reflections and tricks of light. 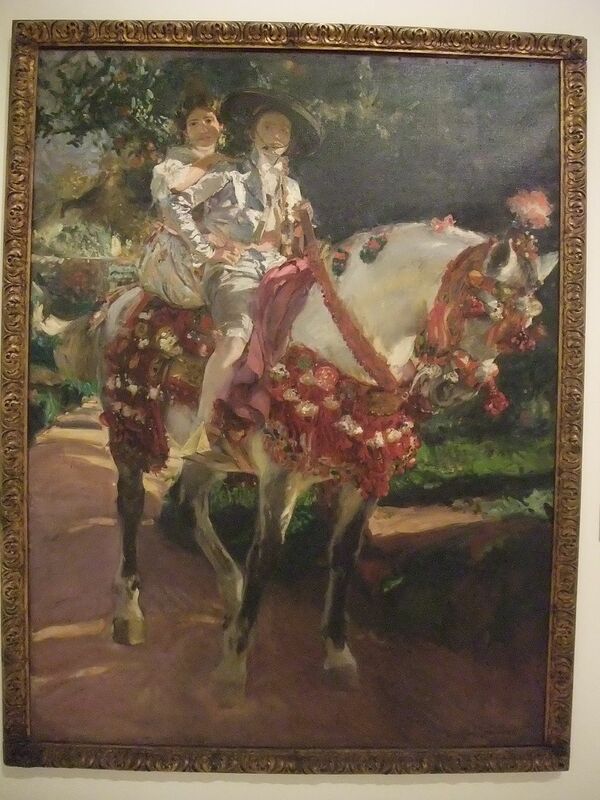 While portraiture wasn’t his preferred area given the restrictions it imposed, on this occasion he captured a scene involving his own daughters, Maria and Elena, as they rode a horse in their native Valencia, wearing traditional jackets.